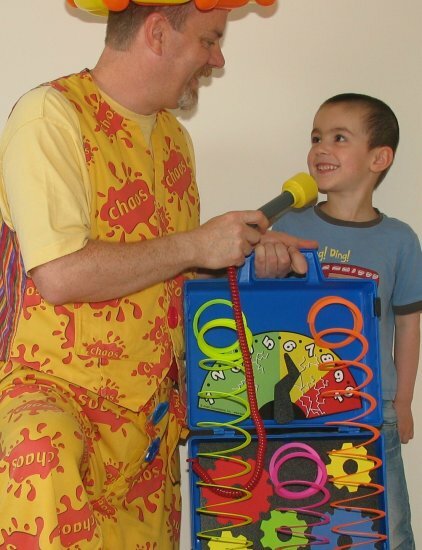 Party People and Bob Bonkers offers specialist children’s entertainment tailored to suit your needs. We offer packages that can include Balloon modelling, party games, dancing, magic and a children’s disco. To be offered a package that best suits your needs please call and speak to Bob to discuss how we can make your event a very special day for your child. Below are three typical packages most often requested. Bob Bonkers always arrives early to allow plenty of time to set up so he is ready to entertain as soon as the children arrive. “thanks for great entertainment today. The children loved you. Cheers.” Kirsty, East Kilbride. The show is an hour of interactive fun and laughter with magic and a party game. Participation is guaranteed and the audience is encouraged to help Bob Bonkers with his magic particularly when things go a little crazy. All the assistants are rewarded during the show, and the birthday child receives a large balloon animal, Birthday balloon top hat and a special birthday card or poster they help to magically create. Finally for being such a good audience, every child gets a sweet and reward certificate they can colour in. The magic is always tailored to suit the age range of the group. There is always plenty of noise and laughs during the show with humour suited to the age of the children. 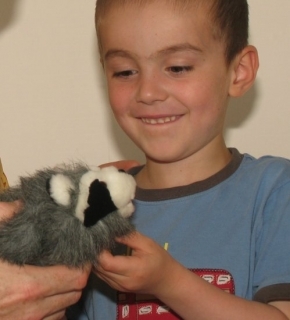 For the younger audience age between 2 to 4 years Bob Bonkers offers a specially tailored show, which is a mixture of magic, games and dancing to suit their unique requirements. Balloons are always popular from age 2 to 102. If it is just balloon modelling you want Bob Bonkers can make everything from animals to aliens and motorbikes to helicopters. His models are sculpted from several balloons to create a gift everyone will notice. Dressed smartly or to be noticed, for a birthday party or fun day, balloon modelling will make your event go with a bang. This is usually for an hour and a half party. Bob keeps the children busy until the majority of guests have arrived. He then usually starts with a 45 minute interactive fun filled magic show as outlined in the one hour show. 45 minutes of interactive dancing and party games. Bob Bonkers always uses a professional sound system and a backdrop for every show. To give your event a disco feel lighting effects are also used, and all the prizes for games are provided too. Party People usually give out colouring and activity books as prizes suitable to the age of the children. Worried about children standing around? Don’t be as no elimination games are used. Bob Bonkers has a unique lively twist to even the most tradition children’s games that ensure all the guests take part and have fun throughout the game. Bob also dances with the children so every guest can join in with the actions and be a part of the fun. 45 minutes of balloon modelling. After the magic show the children can settle down for their party food, with party music playing in the background. Bob Bonkers will then make every child a balloon model. If the children finish their food early, Bob will entertain them with a game and a dance. The complete entertainment package and the most requested usually for the 2 hour party. It includes the 45 minute interactive fun packed magic show. 45 minutes of lively dancing and party games also balloon modelling. At every party each child is given a colouring-in certificate for taking part, and the special child be it birthday or communion is given a balloon top hat. Bob will also organise the children to sing happy birthday in his own unique fun filled way. For older children Party People can provide a fully interactive disco. This includes lighting effects, snow and bubble machine (if allowed by the venue), games, dancing competitions and prizes tailored to suit the age group. Remember these are just some examples of the entertainment that can be provided. Party People and Bob Bonkers can tailor a specialist children’s party package to suit your requirements. Bob always arrives with plenty of time to set up so he is ready to entertain as soon as the children arrive. When booking a hall it is important to allow time to set up and pack away.